Japan is one of the world’s strongest economies and a leader of innovations. However, Japan has been at crossroads with rapidly aging population and a declining birth rate. Japan’s health ministry estimates the population will fall to less than 87 million by 2060; leading to fewer young workers paying for infrastructure for the elderly like pensions and healthcare. But this intersection of unprecedented challenges could potentially lead to new opportunities and creative solutions. 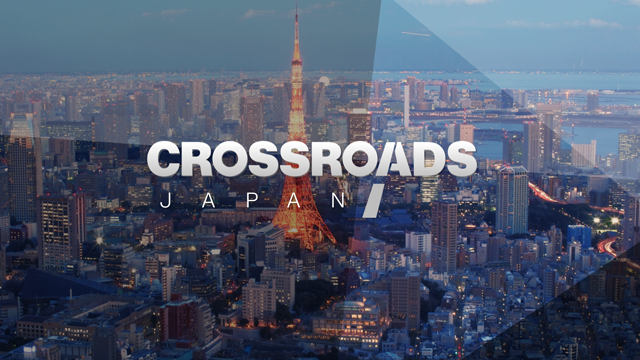 The CNN team has crisscrossed the country to find out how communities are coping and how Japan could create a road-map for dealing with this demographic dilemma. The Japanese town of Kamiyama was a thriving community of 21,000 residents in 1955, but now only has 6,200 inhabitants. However, the ageing community is fighting ‘de-population’ by attracting creative young people which includes Mexican architect and artist Ivan Juarez. We examine the ‘rural renaissance’ in Kamiyama and how the unique combination of a slow lifestyle and ultra-high-speed internet is attracting young millennials. ‘Jikka’, meaning ‘parents’ home’ in Japanese, is a fairy tale house in Japan’s Shizuoka Prefecture that is a home for seniors. Thoughtful aspects of the layout like a spiral-shaped tub designed for wheelchair access, take ageing into account. At the same time, its universal design makes every generation happy. Millions of highly-educated women in Japan do not have jobs and while the government is taking measures, progress is slow in this traditionally male-dominated society. Yuka Mitsuhata is trying to help, drawing upon her own experiences as a young mother, two decades back. Through her label ‘Mo-House’ she designs clothes that allow young mothers to nurse discreetly. She employs 50 women and encourages them to bring their babies to work. Farming is the main industry in Hokkaido but till recently female farmers were a rare sight here. However, three young women in their twenties are changing that by running the ‘Tokachi Girl’s Farm’ despite being relatively new to farming. The girls are seen as a symbol for a new type of agriculture in Japan; one that could also help address the issue of successors to pass down farmlands to; as the country’s population rapidly ages. A growing tourism sector could help boost the Japanese economy and the government wants to double the number of foreign visitors by 2020, the year Tokyo will host the Olympic Games. However, the biggest opportunities may lie outside of the main urban areas. Jun Yamadera is the CEO of a company called ‘Fukushima Wheel’ which combines a smartphone app with a bike-mounted sensor to collect environmental data. This could help reassure and attract visitors to Fukushima Prefecture which is still struggling to gain tourists, six years after the devastating earthquake and tsunami, and the resulting nuclear accident. Another town attempting to attract more tourists is Tsuruga, in Fukui Prefecture – by celebrating its history of having a big heart. Tsuruga Port acted as a safe landing place for more than 700 Polish orphans in the 1920s and for thousands of Jewish refugees escaping Europe in the 1940s. The ‘Port of Humanity Tsurunga Museum’ celebrates this spirit of magnanimity, which is especially unique in Japan, a country with a deep-rooted resistance to immigration. The country now hopes that celebrating this legacy of generosity will help attract more tourists. Tourism has already helped revive Kojima, in southern Okayama prefecture. This town is renowned as the home of Japanese jeans. It started 50 years ago, with the first local brand of denim, ‘Big John.’ In 2006, high-end label ‘Momotaro’ launched. Its handmade jeans celebrate the legacy of Kojima’s textile industry. Momotaro also helped start the Jeans Street project, which has more than tripled the number of visitors to the area since 2010. Blue jeans may have been born in the United States; but they have brought new life to this part of Japan.